It's logical to want to save time by limiting search results to only those exchange offers from members who are most likely to be interested in your location. And, indeed, this is the reason one of the Detailed Search options on Home Base Holidays is exactly that: 'Find members looking for an exchange in your city, county/state, or country.' However, this type of search - a reverse search - is somewhat limited. It can certainly be useful for members who do live in cities such as those Mike mentioned, but the majority of members are not nearly so specific on destinations of interest. If you browse the listings generally by country, many will indicate 'open to offers' or a country or wide area of a country - or even anywhere on a continent - as a preferred destination (rather than a particular town or city). Although there are times when finding an exchange in a very specfic location is important (e.g. when needing to be near friends or family), the most successful home exchangers keep their destination options as open as possible. By being flexible, they don't discourage contact from members with interesting exchange offers in areas they might never have thought of. Home exchangers tend to be adventurous people who like to discover new places off the beaten tourist track and, for this reason, those who live in such areas, whether rural or a small city, should certainly find interest in their exchange offers provided they make an effort to sell the attractions of their neighbourhood as a home exchange destination. Most areas, no matter how isolated, are served by local tourist offices with useful websites (for quick access to further information, a link to such a site can be included in your home exchange listing). Kansas City is no exception. See VisitKC.com for detailed information on Kansas City attractions. 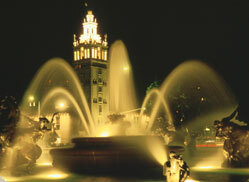 The photo above, from VisitKC.com, is of the JC Nichols Fountain. Ever since I got Mike's message I've had Fats Domino singing 'I'm going to Kansas City, Kansas City here I come' looping in my brain - which shows how old I am I guess! If you are in the London area, and are quick off the mark, here's a chance to claim free tickets to a preview showing of 'The Holiday' next Tuesday, 5th December (opens everywhere 8th December). Yesterday's edition of 'The Evening Standard' included a promotion with 1000 tickets to give away. 'The Holiday' is the story of a Christmas home swap arranged through a fictional home exchange agency, between Amanda (Cameron Diaz) and Iris (Kate Winslet), both in need of a change of scene after having man troubles. As well as Diaz and Winslet, 'The Holiday' also stars Jude Law and Jack Black (and one of my favourite actors, Rufus Sewell). The 5th December preview showings are at the following five ODEON cinemas: Surrey Quays, Lee Valley, Wimbledon, Streatham, Beckenham. All screenings are at 6.30 pm. Tickets are first come, first served. Log on to www.seefilmfirst.com and enter the code 72825. You will then need to register on the site and make your choice of cinemas. If you are successful, you can print your tickets or have them sent to your mobile. I already have tickets to a preview showing and will be writing a review next week. With well-known writer-director, Nancy Meyers, and some of the top box office stars, 'The Holiday' should be an enjoyable evening's entertainment. If you are an experienced home exchanger, let me know what you think of the film - realistic depiction of a home exchange or, more likely, a nice feel-good romantic comedy that happens to be based around a house swap? In the past I have featured personal blogs that Home Base Holidays members have published to keep a record in words and pictures of their home exchange vacations, notably, California Dreaming (a London-California exchange) and Kiwi McLeods (an on-going family blog that started with a New Zealand-England exchange last year). No doubt there are other such home exchange blogs I just don't know about. As far as I'm aware though, the first pair of Home Base Holidays members to both record a long term exchange are Cathy, from Mission Bay, Auckland, New Zealand (blog: Home Exchange Travelling) and Nick, from Caversham, Berkshire, England (blog: New Zealand). 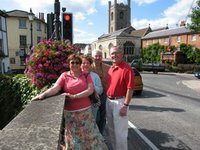 Cathy and husband, Laurie, came to England in early September, overlapping a day at Nick and Anne's home in Caversham (always nice to be able to meet exchange partners, especially when exchanging for such a lengthy period). The couples' three month exchange will be drawing to an close now and, if you check out these members' blogs (links above), you will see that both pairs of home exchangers have packed a lot into their exchange holidays. What I find particularly interesting is that, in their numerous posts, both bloggers concentrate almost exclusively on describing their various trips, outings and visits with friends. In other words, it appears that they took the time to ensure that both would be happy with the homes and locations chosen and so the actual houses are primarily seen as comfortable, homely bases to return to after a day's activities or longer jaunts away from the home. With an exchange of this length, I would be surprised if neither set of exchangers hadn't encountered the odd household problem such as a faulty appliance or blocked gutters that needed attention but, if they did, these must have been minor and quite easily sorted from the instructions left, help from a family member or friend or through contact with each other. At least, any minor household problems weren't considered important enough to be given space on either blog! Cathy and Laurie are experienced exchangers (and, indeed, Cathy is our New Zealand rep), and so are old hands at arranging exchanges and leaving detailed instructions to cover most eventualities that exchange partners might encounter while staying in their home. Nick and Anne are first time exchangers and it will be interesting to find out what they have learned from their first home swapping experience. Both blogs will have been useful in recording the on-going exchanges (when time), to keep family and friends back home up-to-date on their travels. The blogs will be a wonderful reminder of their trip once the couples return home. Being able to direct future potential home exchange partners to a blog written by a previous home swap guest should also be a great way to show their homes and area attractions from the unbiased perspective of past exchange visitors. The photo, above left, is of Cathy and friends, taken in September at the beginning of the exchange. 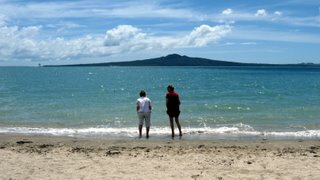 The photo, below right, of Rangitoto, Mission Bay was taken by Nick and shows friends who had visited the couple at their exchange home. 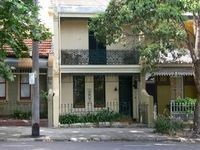 As many Home Base Holidays members have school age children, school holidays are a very popular time for home swaps. Not only does exchanging homes reduce the expense of travelling at peak times when air fares are at their highest but, swapping with a family with similar aged children means a home with lots of toys, games, books (and probably local playmates) to keep the children entertained. 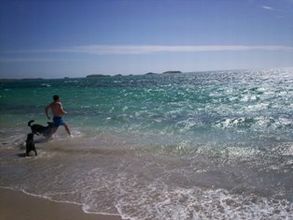 Arranging a home exchange abroad does, however, usually involve some compromise on dates and length as holiday periods vary from country to country, with popular southern hemisphere destinations like Australia and New Zealand having their long summer holiday in December/January while schools in Europe and North America have summer breaks of varying lengths from June to September. 'Spanish house situated in the old seaside town of Almunecar. 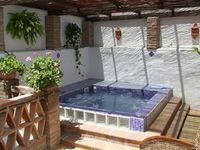 The house was fully renovated in 2005 and has plenty of outdoor space including roof terrace, internal patio and outdoor heated jaccuzzi spa for 6 people. It is close to the beach and all the towns shops and restaurants. Almunecar has managed to retain the atmosphere and character of an old Spanish town with winding narrow streets and tapas bars. Besides tourism, fishing and the growing of tropical fruits remain at the heart of the town's day to day life. View this home exchange offer in full, HE18821. 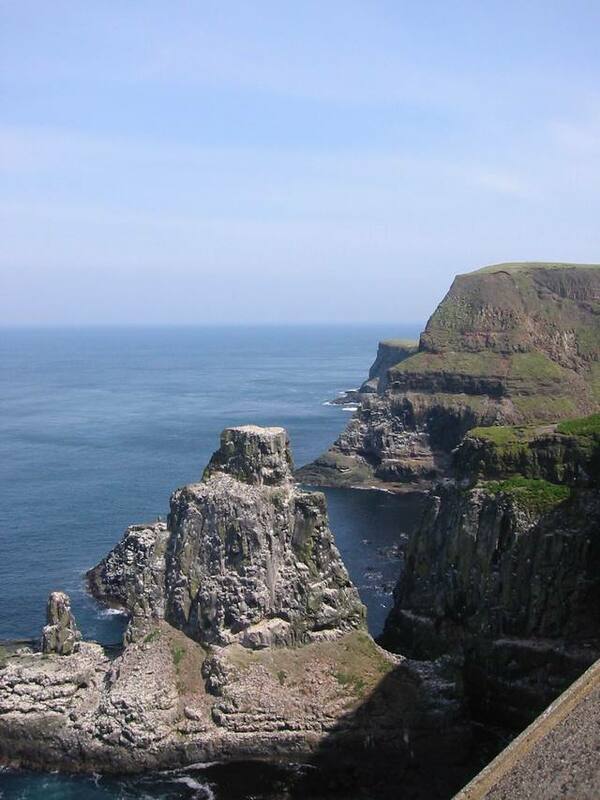 According to a report on BBC News recently, the new edition of the 'BLUELIST : The Best In Travel 2007' published by The Lonely Planet, tips Northern Ireland as one of the 'must-see' countries to visit in 2007. 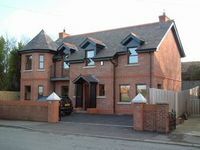 'My house (in Holywood, Co Down) was built in 2005 - it's design was based on the traditional red brick railway station houses locally. It is a spacious and comfortable house which is great for entertaining, but cosy enough to relax in front of log burning fires too! Brrr! As it gets colder and the days shorter here in the northern hemisphere, many people will be dreaming of escaping to warmer climes like Australia where summer is well on the way. 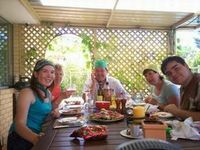 Although, having grown up in Canada where winter = snow, it's hard to imagine celebrating Christmas with a barbie on the beach, many Aussies (and those lucky enough to arrange a home swap in Australia in December), will no doubt be doing just that. ROCKINGHAM / PERTH, WESTERN AUSTRALIA: We live in Rockingham, 40 mins south of Perth; 20 minutes south of the port of Fremantle. Rockingham is a beachside town, with leisure facilities for swimming, boating, fishing, sailing, surfing, diving, etc. You can walk to the beach, swim with the dolphins, visit the fairy penguins and take a trip to Rottnest or Margaret River wine region, or picnic in Kings Park with a view of the Swan river. See full exchange offer, HE15726. Note: the photo above, right is also from this listing. SYDNEY, NEW SOUTH WALES: Our house is a lovely restored Victorian terrace in the inner city. A short stroll to restaurants, cafes, theatre, cinema, train/ bus. 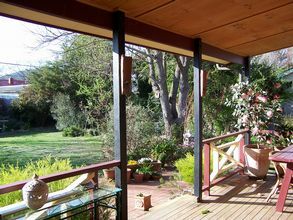 Minutes to Sydney harbour, Opera House, beaches. See full exchange offer, HE18777. 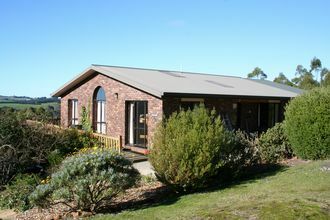 BOAT HARBOUR, TASMANIA: Our house is located in the North West of the island state of Tasmania. It is set in 5 acres of ground. Tasmania is a gem with a wealth of scenery, history, national parks, wildlife, light traffic, wineries and a slower pace of life. The nearest town is Wynyard and there is a general store a kilometre from the house. Burnie, the nearest large city, is some 30 kilometres away. There is a beautiful white sandy beach within 3 kilometres of the house and good walking track adjoins the latter part of the access road. See full exchange offer, HE18901. CANBERRA, AUSTRALIAN CAPITAL TERRITORY: Two bedroom home with lovely back deck ideal for outdoor dining, set in a leafy tree lined street of inner Canberra. One of Canberra's major restaurant districts is located only a few minutes walk away as is a major shopping centre. Canberra is located only three hours drive from Sydney, two hours drive away from the beautiful saphire coast with its pristine white beaches and sparkling clear blue waters. See full exchange offer, HE18746. Check out all Last Minute Exchange Offers (note: these change all the time with listings automatically deleted from the list after one month).